There are many famous Native American tribes who played a part in the history of the state and whose tribal territories and homelands are located in the present day state of California. California is a state in the western United States. 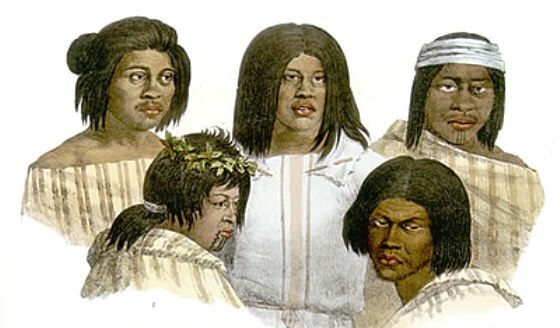 The names of the California tribes included the Chilula, Cocopah, Hoopa (aka Hupa), Juaneno, Karok, Kato, Konkow, Mohave Miwok, Modoc, Pomo, Shoshoni tribe aka Shoshone, Wintu and Wiyot. The climate, land, history, environment and natural resources that were available to the indigenous Indian tribes in California resulted in the adoption of the California culture. Meaning of State name: Believed to have been derived from a 1510 book called 'Las Sergas de Esplandian' by Garcia Ordonez de Montalvo. The book centres around a mythical Spanish island ruled by a queen called 'Califia' and used for the name California. Geography, Environment and Characteristics of the State of California: Long mountainous coastline, central valley, Sierra Nevada on the east, southern desert basins, rugged mountains in the north. 1850: The Mariposa Indian War in California, a conflict between the with Miwok and Yokut Indians and miners. Miners forced the Indians off their gold rich lands. 1850: The Pitt River expedition, California. Made by Colonel E. A. Stevenson, Indian Agent to establish relations with the Achomawi or Pit River, Hat Creek and Modoc. The history of the European invasion brought epidemic diseases such as tuberculosis, cholera, influenza, measles and smallpox. The Native Indians of California had not developed immunities against these diseases resulting in huge losses in population. Exploitation including the leverage of taxes, enforced labor and enslavement were part of their history, taking their toll on the California Indians.